【TouchLive】Achieve SA or A flight and receive THEME! 10/16～10/29 Aim to be Top of MAHJONG LIVE! 9/18～9/29 Aim to be Top of MAHJONG LIVE! 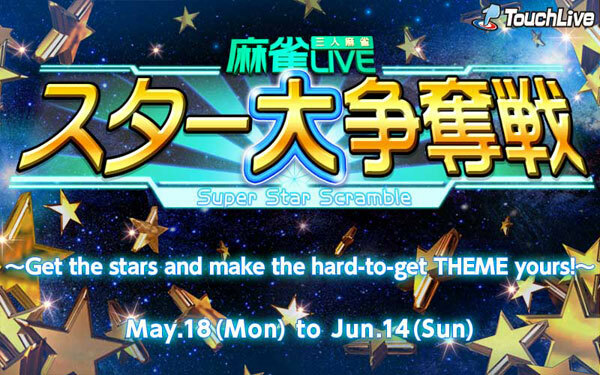 8/25～9/6 Aim to be Top of MAHJONG LIVE!